TRY ALL FLAVORS BEFORE PURCHASING A WHOLE CASE!! 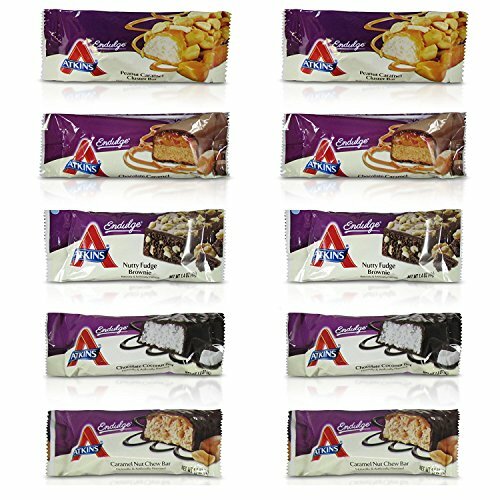 In This Variety pack you will receive 10 BARS which includes 2 of the following 5 flavors: Caramel Nut Chew, Nutty Fudge Brownie,Peanut Caramel Cluster, Chocolate Coconut and Chocolate Carmael Mousse. Only 2 grams of net carbs and 1 gram of sugar per serving per bar.